AEMC offers one morning and one evening class every 6 months for course completion. Please call or e-mail :bogatovaemc1@aol.com AEMC for the scheduled class hours for each session. 25-hour Course for Russian Medical Massage. The V-Method for Stress and Pain Reduction. Level I, Level II, Level III, Level IV. 27-hour Massage School Instructor Program. Intensive weekend,Home study,flexible schedule for individual training are available. Cupping demonstration for each Level. Psychological aspects of massage therapy for stress and pain reduction. Introduction to different methods of massage therapy in Russian Medical Massage. Specific techniques for stress and pain reduction by Russian Medical Massage. Russian Medical Massage therapy principles for migraine pain. Russian Medical Massage therapy principles for fibromyalgia. Russian Medical Massage therapy principles for Back pain. 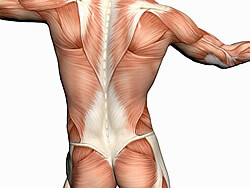 Russian Medical Massage therapy principles for any muscles pain. Russian Medical Massage therapy principles for athletes. Russian Medical Massage therapy principles for sport rehabilitaion. Communication and professional ethics in teaching and learning process. Lesson plan usage and presentation to students. Evaluation methods for theory and practice classes. Creation of student activity and self-care.